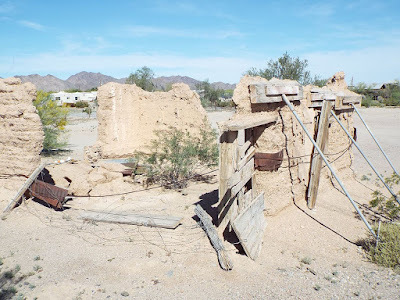 The town of Quartzsite is located on the site of old Fort Tyson, a privately owned fort built in 1856 by Charles Tyson for protection against Indians. Because of the water which existed at this place, Tyson's Wells soon became a stage station on the road from Ehrenburg to Prescott. In 1875 Martha Summerhayes described this place as being the most melancholy and uninviting that she had ever seen, saying that it "reeks of everything unclean, morally and physically..."
Charles Tyson was an early settler who saw the mining potential of the region in the La Posa Valley. In the early years of the American gold rush, pan handlers began to arrive in Arizona searching for the precious metal. Gold deposits were discovered in the desert mountains of Plomosa and Dome Rock in the area and a boom in the mining industry followed. The key was water. The water supply in the area became the target of the Yavapai tribe (a.k.a. Mohave-Apache) who resented the arrival of the Anglo-European settlers on their land and raided the early settlements. The settlement was also known as Tyson’s Wells, because of the well dug there in 1864 to reach the underground water. 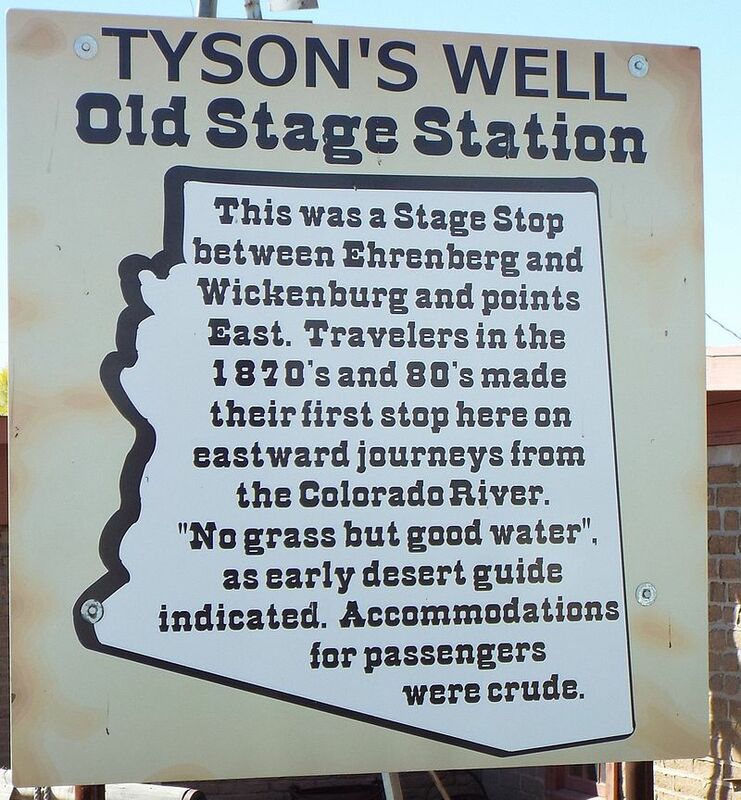 Tyson then built a stage station in 1866, which originally served the stage coaches that traveled from the towns of Ehrenberg and Prescott. Prescott at the time was the capital city of the Arizona Territory. 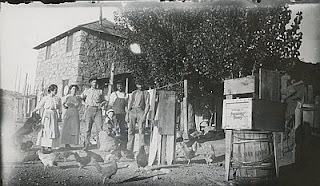 The California and Arizona Stage Company began transporting passengers which included prospectors, since gold had been discovered in the mines of Wickenburg and Prescott, and made stops at the station. The Wells Fargo Express also stopped by the station en route to Ehrenberg and Wickenburg from California. 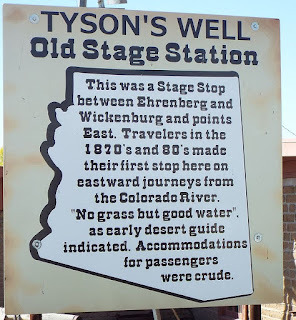 Tyson’s Well Stage Station was located on the famous Butterfield Overland Mail route between Prescott, Arizona and Riverside, California. When the railroad came, most stagecoach travel ended, leading to a major slump for Tyson’s Wells. 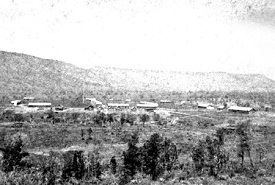 In 1897, the development of mining in the area resulted in a small boom. It was reported that Tyson's Wells had three stores, two saloons, and a short-lived post office. Apparently when it became necessary to re-open the post office because of renewed mining activity, a new name had to be found since the post office did not permit offices to re-open the post office under formerly used names. Therefore, George Ingersoll suggested the name Quartzite, since quartzite is actually found in the vicinity, but quartz is not. However, the post office in error apparently added an "s" to the name. The resulting "Quartzsite" erroneously implies that quartz is found locally. Actually Quartzsite is approximately nine miles east of the old Tyson's Wells which lay nineteen miles from Ehrenberg. Therefore, a different name was a better suited. 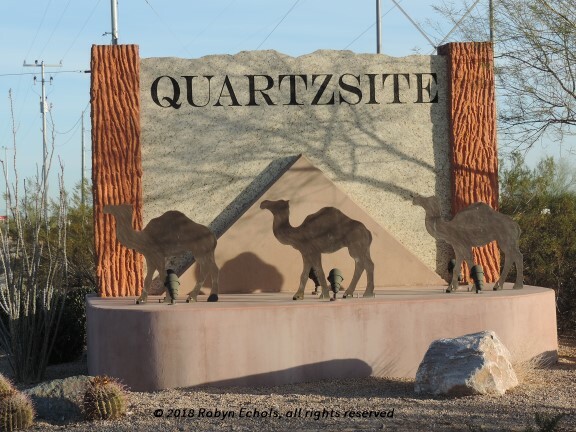 Quartzsite also became associated with the camels that were turned loose in the region about the time of the Civil War after the U.S. Army abandoned their camel program. Many lived in the La Posa Valley for years. My Independence Day 1881 – Zina Abbott’s Sweethearts of Jubilee Springs is available both as an ebook and in print on Amazon. If you have a Kindle Unlimited account and have not yet read all three of my first three books, this book containing three novellas will count as one book on your KU queue. You may find the book description and purchase link by CLICKING HERE. After you finished reading this book, please leave a review on Amazon and Goodreads. The first Basques in Oregon arrived in the late 1880s. These Euskaldunak, or newcomers, came from two launching areas. 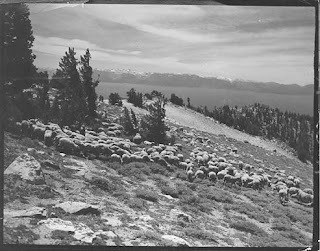 Some were part of the Euskaldunak exodus out of Gold Rush California and the first ranches of Nevada. 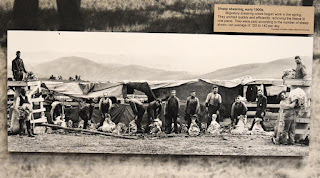 Others arrived directly from Europe, leaving the Pyrenees Mountains that separated France and Spain, crossing the Atlantic by ship, and traveling across the continent by railroad to their new western homes. The Basques of Eastern Oregon and Northern Nevada became known early on as sheepherders and livestock men. In the community of Jordan Valley, Basque and non-Basque numbers expanded to approximately 600 families in the 1920s. The Basques established important markers of their ethnic presence by erecting several still-standing sandstone buildings, including three boarding houses, a fronton (for jai alai, pelota, or handball), and an essentially Basque-built Catholic church. The two decades from 1920 to 1940 saw major developments in the Basque communities of Oregon, near where I live. Basques settled in or near the small communities of McDermitt (on the Oregon-Nevada state line), Andrews, Fields, and Arock, along with Jordan Valley. 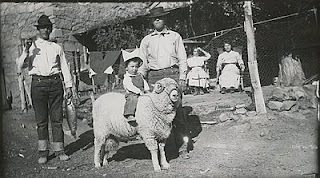 In the years following the early 1940s, Oregon Basques experienced continuing changes. 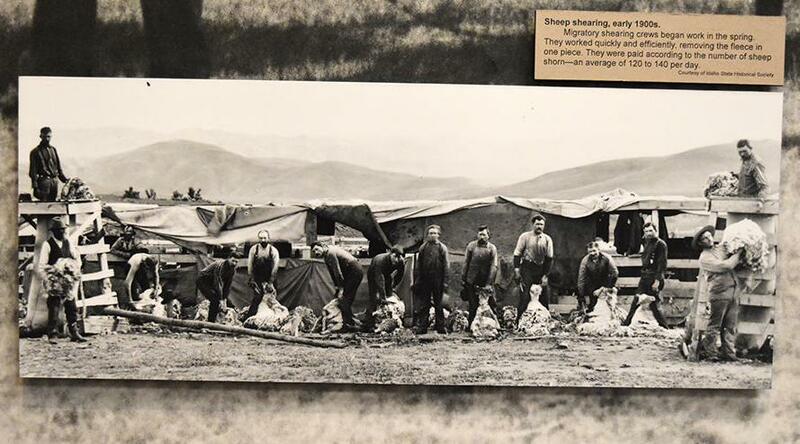 The sheep industry, beset by international competition and diminishing demands for wool, fell on hard times. With the French and Spanish economies gradually recovering from postwar declines after World War II, fewer Basque men were willing to immigrate to the American West as poorly paid herders, isolated from European ties and removed for most of the year from other Basques. Lonely lives under the big western sky seemed less and less appealing. 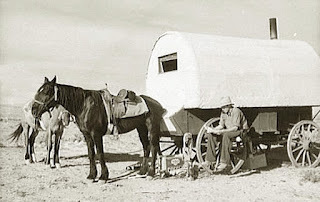 When I was a teenager, we'd often take our horses to the desert south of Boise, Idaho. Usually, we'd see a Basque sheepherder tending their flocks. 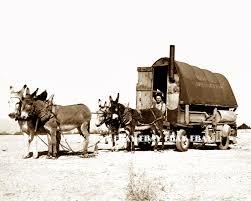 These were often young men from the Basque area of Spain and they lived in the above trailers, following the herds. They were far from home, unable to speak English, and very lonely. They'd use sign language and always offered something to eat. My Rodeo Road series is set on a ranch in the Jordan Valley, Oregon area. In Changing A Cowboy's Tune, the hero was born and raised on the family ranch and takes his bride there to live. 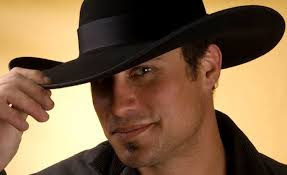 The second book in the series, Winning A Cowgirl's Love, will be available in the anthology Do You Take This Cowboy on June 1st. This is Randi and Davie's story. Randi Bachmann has two problems after winning an extravagant wedding package from the reality show Your Dream Wedding: She doesn’t have a groom, and she doesn’t want to get married. However, she needs the $50,000 prize money awarded if she stays married for six months. In desperate need of the cash, she picks the one man she knows will be only too happy to leave after the term is up, Davie Dunbar. When his college romance went south, Davie ran as far and fast as he could. Back home after six years of wandering, he’s set on trying to make up to Randi for deserting her. Marrying her is the perfect way to prove to Randi he’s changed. He’s willing to do anything, including take part in a fake wedding, for a second chance to win her love. Have you ever heard about the Basques? Nothing like a good wedding! I admit, I binge watched the royal wedding. Yep, got up at 4 a.m. and took it all in. Teared up. Had a good cry. Watched it again that night. Yeah, I told myself I was there for the horses. Snicker... who's gonna believe that. So, I got to thinking, what were western weddings like? We know weddings changed lives. Girls moved from their mother's house to one of their own, raised their own brood, moved when their husband's decided to move, and put up with a lot. That part of life hasn't changed much. But, remember, they were often far away from home, no emails, phone chats, video's. We have it pretty easy. At the turn of the last century, brides often experienced similar emotions of today's brides; anticipation, excitement, trepidation. But these blessed unions were far more than just gathering of families. Weddings were important social events. They pulled the families away from mundane daily chores and provided a way for young folks to meet and mingle. Weddings were scheduled around the circuit preacher or work on the homestead. If the preacher couldn't be there, a justice of the peace would serve. Families would gather in the main room to watch the nuptials then feasting, dancing until late in the night would entertain young and old. If you were lucky there would be a good old chivaree where folks would grab pots and pans, wooden spoons, whistles and the like then journey to wait outside the bedroom window. Once the light had been doused, the ruckus would begin. What did you get a bride in the West? Well, many of the customs were still the same. Letters from the east, customs and culture gave into traditions that many families did their best to emulate. Household items were a must. Sometimes staples were given. A bag of coffee would come in mighty handy if your farm or ranch was a distance away from the city or town. Practical gifts like cows, chickens, horses were always nice especially with money in rather short supply. By the Gilded Age, Western brides were having higher expectations. They had been reading Harper's Weekly or gleaming information from letters to see what was going on back East. Gifts became fancier, silver bread bowls, napkin rings, crystal were show pieces brides would give their eye teeth for. 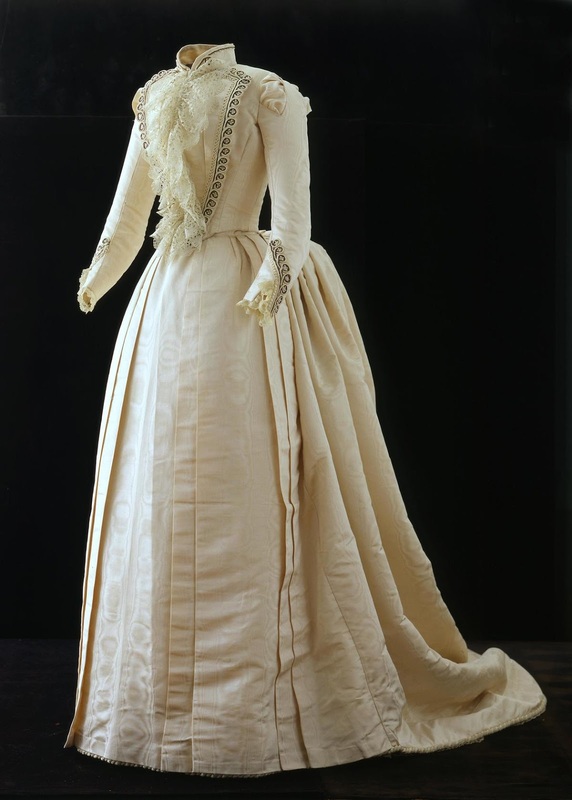 A woman's trousseau such as clothing, linens made by hand were given. Remember those quilting bees - patterns like double wedding ring became popular. Things like parlor stoves, carpets, and water sets were the cat's meow. Because of the influence of Queen Victoria, there was a rise in the use of white gowns.We all know that most clothing was made by hand. Those ranch families who could afford high end fashion often sent to France for white silk wedding gowns that cost $1,000.00 to $1,500.00 dollars. Cost may have hindered purchases, but those ladies were resourceful. They'd study fashion plates in magazines to get ideas and purchase their own taffeta, tulle, and satin, then spend hours sewing a gown. I sure enjoyed Prince Harry's wedding. I bet they received a number of silver bread bowls. But, I can't imagine, Prince Charles or his brother sneaking up to Windsor Castle with pots, pans, and whistles. Maybe, bagpipes. A wonderfully preserved wedding gown of the Gilded Age can be found at the Buffalo Bill Historic Center. Arta Cody's wedding dress has been preserved and is on display there. This picture was printed in the fall 2005 issue of Point's West Magazine. A significant territorial outpost, Fort Apache was built in the spring of 1870. Leadership at the time name it Camp Ord, in honor of General O.C. Ord, Commander of Arizona. In August of that year they changed the name to Camp Mogollon, and in September they gave it another name, Camp Thomas. That’s three names in less than a year. Finally, on February 2, 1871, they gave it the name that stuck—Fort Apache. The fort was built at the end of a military road on the White Mountain Reservation, to guard it and the White Mountain Agency. 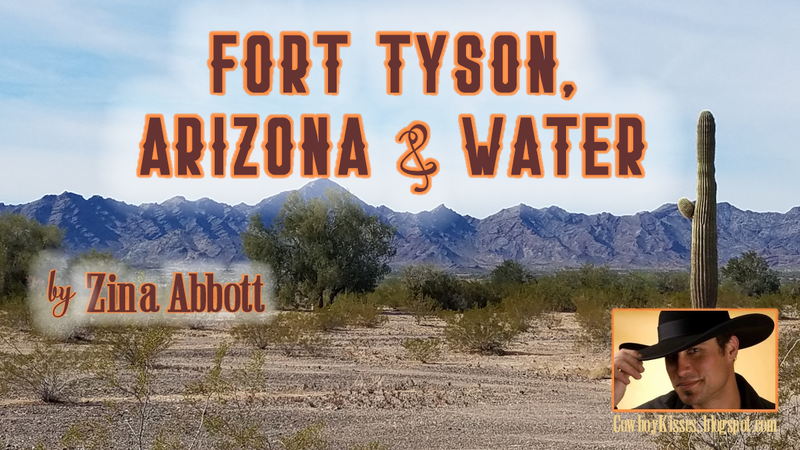 There was a lot of activity at the fort on August 1871, when General George Crook, commander of the Department of Arizona, made his first visit. He recruited about 50 Native Americans from Pedro and Miguel’s bands to work as Apache Scouts. The Scouts came to play a critical role in the Apache Wars which lasted for the next fifteen years and only ended with the final surrender of the Chiricahua leader Geronimo in 1886. A great deal of unrest took place at the fort in 1876 when federal troops moved the troublesome Chiricahuas from Fort Bowie to the White Mountain Reservation. In 1881, the departmental commander, General Orlando Willcox, heard about a shaman named Nochaydelklinne, who was preaching about a mystical religion—a means to resurrect the Apache’s dead and also to drive the white men away. The shaman soon gained a large following and the General feared he might stir up trouble. Willcox sent troops to arrest the shaman, who camped with his followers on Cibeque Creek, near Fort Apache. On August 30, 1881, the troops tried to take Nochaydelklinne into custody and a fight broke out. The medicine man was shot and killed, which incited a mutiny among the Apache scouts. 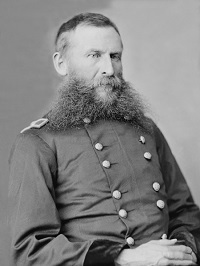 General George Crook planned a Tonto Basin campaign and moved on to Camp Verde to execute the tactical operations. Several Apache scouts crisscrossed the Tonto Basin and the surrounding tablelands, hunting the renegade Tonto Apache and their Yavapai allies in the winter of 1872 to 1873. They forced about 20 skirmishes and in all killed around 200 Native Americans until they finally wore down their adversaries. Soldiers from Fort Apache continued to battle various renegade bands led by such famous warriors as Geronimo, Natchez, Chato, and Chihuahua. The Battle of Fort Apache was the major engagement fought by the troops on September 1, 1881. The attack was in retaliation for the Cibecue Creek battle in which Nochaydelklinne was killed. However, the two engagements occurred about forty miles from each other on opposite sides of the Fort Apache Reservation and happened two days apart. From long range, near Whiteriver, Arizona, the Apaches repeatedly fired volleys at the fort with their rifles and scored some hits. The U.S. cavalry and native allies returned fire, but the Apache remained at the end of their rifle range during the entire fight. The action lasted until sunset after several Apache attacks were repelled by counter fire. By the time reinforcements from Fort Thomas on the San Carlos Indian Reservation arrived, two days later, the Apaches had withdrawn into hiding. Only three American soldiers were wounded. The Apache casualties are unknown. Nochaydelklinne's death roused other Apache groups to leave their reservations and join Geronimo and other leaders for battle or to escape to Mexico. It was only after Geronimo was captured for the last time in 1886, that the Apache Wars finally came to an end. 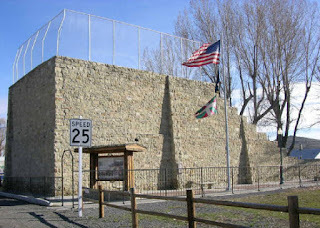 When the fort closed, its buildings were turned over to the Bureau of Indian Affairs. Some of the buildings are still standing. 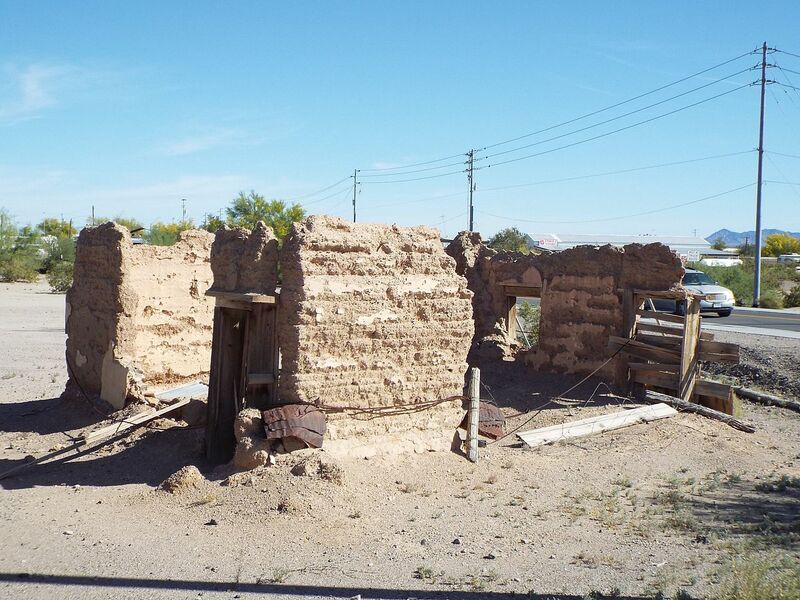 People can visit the Fort Apache Historical Park from 8 a.m. to 5 p.m. Monday to Saturday in summer, and 8 a.m. to 5 p.m. Monday to Friday the rest of the year. 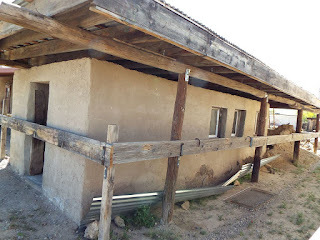 The Fort Apache post office occupies the adobe adjutant’s building. 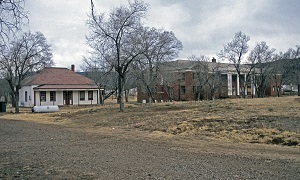 A log building, one of the oldest structures and reputedly the residence of General Crook, as well as the stone officers’ quarters, are today the residences of teachers and other Bureau of Indian Affairs employees. 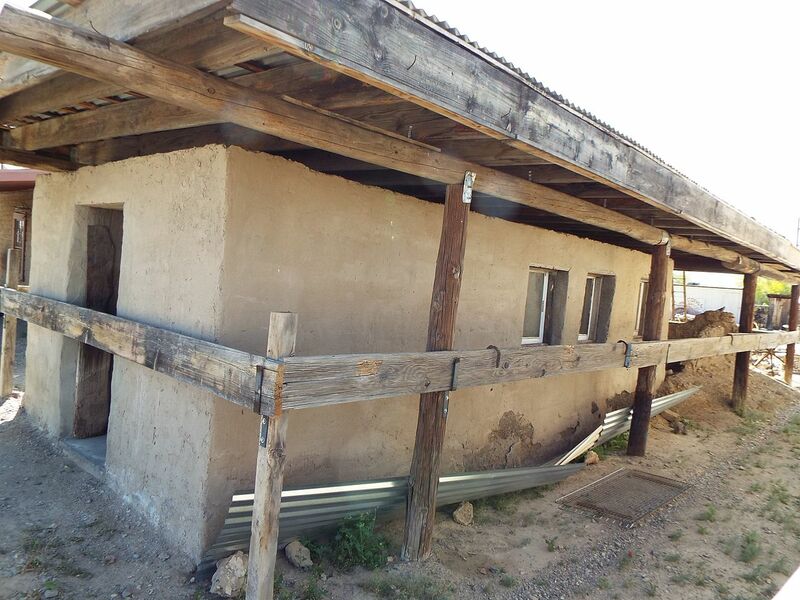 Also, an overview of the history of the fort and its impact on the Apache people is kept in General Crook’s Cabin. Photomurals, maps, and historic photographs bring the past alive to visitors. A mid-1870s period room offers a glimpse into the world of Army officers and their families at a remote outpost. Twenty-seven historic buildings make up the core of the 288-acre National Register Historic District. Following maps available at the Museum, visitors can explore the district at their own pace. Interpretive signs explain the construction and use of the historic buildings and spaces, so visitors can immerse themselves in the history of what many consider the best surviving example of an Apache Wars-era military post. 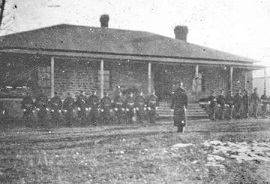 The Sutler’s Store and commissary building, cavalry barns, and guard house haven’t changed much. The parade ground provides a recreational area. The cemetery no longer holds the bodies of dead soldiers, but the graves of the Indian scouts are still there. Visitors can also hike the Historic Park ’s recreational trails, including a 1.4 - mile loop through the East Fork canyon that passes by the site of a historic Apache Scout camp and a small Ancestral Pueblo village. 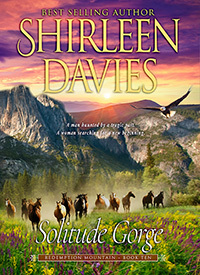 Check out my new release, Solitude Gorge, book ten in the Redemption Mountain historical western romance series. Available Now for PreOrder! It’s a story more apocryphal than true that Manhattan was bought by the Dutch from the Indians for twenty-four dollars worth of beads. 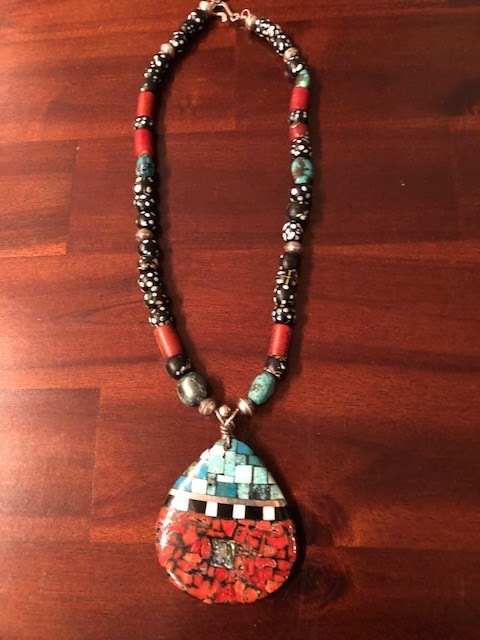 Whatever the truth of the matter, up until their meeting with the Europeans, Native American beads were hand made out of natural materials: bone, animal teeth, horn, and shell. 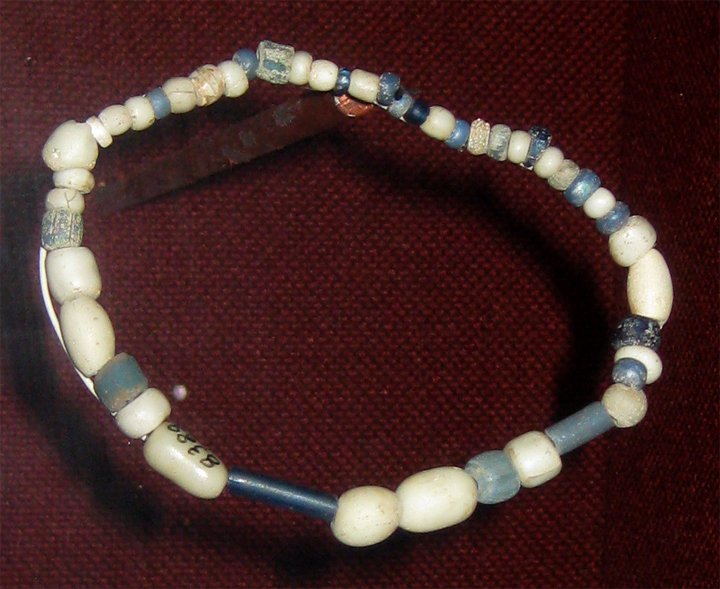 But where did the idea come from for the Europeans to trade beads with Native Americans? Trade beads were originally called ‘slave beads’ because they were used to trade for slaves in Africa; in Ghana, these were called ‘aggry.’ To many of the peoples of Africa, beads were a sign of both wealth and social position, so the beads were the most obvious currency, being brought over from Europe even as ballast in ships. Venetian glass beads were the most popular, but beads also came from Poland and Czechoslovakia, as well as other cities in Italy. Trade in North America started with small amounts. Lewis and Clark brought small supplies for their cross-country trek in 1804, and the Hudson Bay Company also used them as trade. From archaeology, we have learned that beads of certain size, shape, and color were favored by different nations, large blue glass beads being one such popular type. By 1848, the peddler’s trade across the plains carried beads, and twenty-eight year old Stephen A. Frost was one such tradesman. After the end of the Civil War, Stephen’s son, Daniel, was able to join him, and their company expanded. On Stephen’s retirement in 1900, Dan Frost continued to expand the company into non-Native activities, although it was always the Native American side that was the mainstay. The company exhibited its collection at the 1904 St. Louis World’s Fair and continued in business until 1937 when Dan Frost retired, aged 87, and closed the business. During his stewardship, he had associated with such notables as Geronimo, Sitting Bull, Buffalo Bill and Wild Bill Hickock, amongst many others. The remaining stock of Frost & Son was sold, but the bead sample cards were donated to the Illinois State Museum where they can be seen today. Don't Call Me A "Sidewinder"